The Securities and Exchange Board of India (Sebi) has shot a six-point letter to mutual funds (MFs) to ensure that unitholders’ interests are not getting compromised due to rise in ‘complex’ debt investments of MFs to promoter entities. The regulator has directed the MF trustees “to review the risk management policy of the MF including the aspects like cap on such exposure (exposure to promoter entities), adequate cover, legal risk, market risk, liquidity risk, etc, to ascertain that the interest of unitholders are protected at all points of time”. According to industry sources, Sebi also wants to assess if MFs have taken high levels of exposures to promoters, which have already pledged a large part of their shares. “Promoters with excess pledging will have limited ability to pledge additional shares to restore the equity cover in case of sharp price fall,” said a fund manager, requesting anonymity. According to people in the know, the regulator wants to know whether MFs have proper contingency plans in place, as volatility in equity markets has a bearing on the credit quality of these exposures despite them being debt instruments. The central bank stipulates that all NBFCs with more than Rs 100 crore of asset size need to maintain a loan-to-value (LTV) of 50 per cent, in which listed shares are placed as collateral. An LTV of 50 per cent means that for a Rs 50,000 loan, the market value of the collateral shares needs to be Rs 100,000. This translates into share cover of two times. The CRISIL note points out that low equity cover heightens the risks for fund houses and other investors as unlike NBFCs and banks, these do not have enough capital buffer. “Considering high equity volatility, a low cover of 1.2 or 1.3 times may not be able to provide adequate cushion and avert a default on the debt. 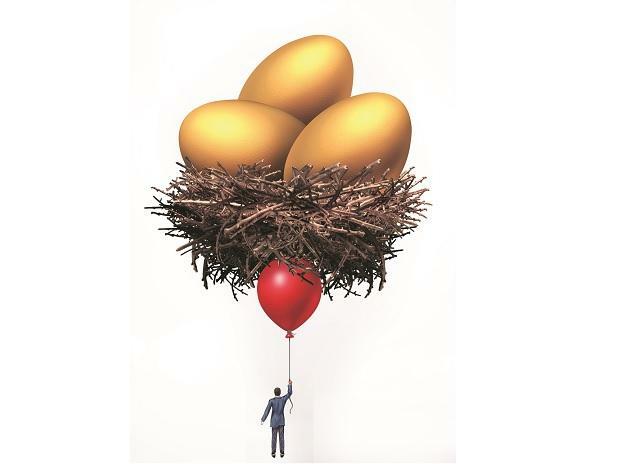 While NBFCs and banks have capital cushion to absorb risks according to regulatory capital adequacy norms, others do not have any such leeway,” the note read. The industry officials say the inherent risk in such structures stems from the fact that there is no underlying cash flow. The risks have been exacerbated, given that such structures are finding limited sources of funding in the current environment of tight liquidity. “With NBFCs becoming wary of doing roll-overs for such structures, these could see a continued build-up of stress,” Chopra added. The strain in the loan-against-shares structure had prompted MFs to enter into standstill agreements with the promoters, as selling the pledged shares could trigger downgrade and negatively impact the exposed funds’ net asset value. The markets regulator had earlier sought details of fund houses’ debt exposure to Essel group companies after both sides entered into an agreement to hold back selling of the promoter entities’ pledged shares. According to reports, the central bank is also looking at the recent cases of ‘standstill’ agreements between borrowers and lenders.